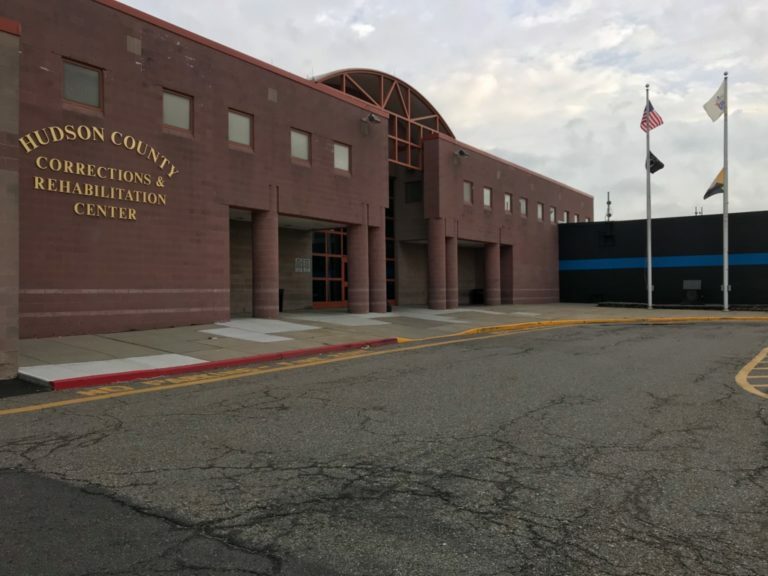 Hudson County, N.J. hosted a four and a half hour public meeting last Thursday to determine whether it should continue jailing detainees on behalf of Immigration Customs Enforcement (ICE). Yvonne Balcer, a Jersey City resident, called on officials to maintain the contract to operate the immigrant prison and ensure that her taxes would not increase. “People do not have the right to come here because they chose to come here,” she said. Her remarks were met with light applause and resounding chants of “Shame!” — a reminder that Hudson is a Democratic county. Most meeting participants called for abolishing ICE but disagreed over Hudson County’s role in the effort. Some called to keep the detention center open so immigrants could remain near their communities. Others argued that ending local contracts with ICE is a step towards abolishing the agency. At the meeting’s conclusion, county officials decided to continue the contract with ICE until 2020. 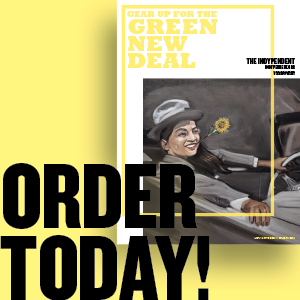 They assert this is a “path to exit,” providing them with two years to prepare for a “successful transition.” The resolution that was approved, however, does not include any concrete steps toward ending the contract and if officials choose to do so, they can vote in 2020 to renew it. In the interim, advocates, organizers, detainees and others who all agree that ICE should be abolished are vying for different outcomes. Tension arises from a disagreement over tactics. Under community pressure, counties in Texas, Oregon, Virginia, Atlanta and California have recently ended ICE detention contracts. Some activists in the New York City have argued Hudson County should do the same. The Hudson County jail currently holds about 800 immigrants. The vast majority of those detainees are New Yorkers. Under federal law, immigrants facing deportation do not have the right to a free attorney. 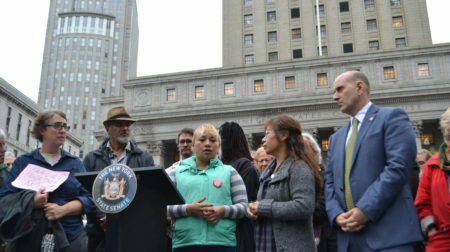 New York City, however, operates a landmark program, the New York Family Immigrant Unity Project (NYFIUP), that provides legal representation to immigrants with financial need who have been arrested or face pending removal cases. NYFIUP has increased detained immigrants’ chances of winning their cases from 4 percent to 48 percent. If Hudson county ceases to detain immigrants, NYFIUP providers fear they will be unable to represent their clients or future detainees who may be sent to detention centers thousands of miles away. This was the case when the California counties of Contra Costa and Sacramento and the city of Santa Ana ended contracts with ICE. “As long as people are detained by ICE, it is our duty to advocate for them to be connected to their families, friends, lawyers, social workers, doctors and other services to support them through one of the hardest moments of their lives,” NYFIUP said in a statement to The Indypendent. Last year, Hardat Sampat was picked up by ICE and held at the Hudson county jail. He is a member of Desis Rising Up and Moving (DRUM), a working-class immigrant social justice organization. He disagrees with NYFIUP’s position. “By saying, ‘Keep immigrants in a detention center close by so we can provide services to them,’ you’re really saying, ‘It’s okay for immigrants to be locked up while they go through their immigration process,’” he told The Indy. The conditions at the immigration detention sparked an intense debate at the Hudson County meeting. Yet the Hudson County jail has been plagued with controversies. Leisvel Gonzalez, who was detained at Hudson county for five months earlier this year, urged officials to end the contract. He alleged that he was raped twice while in custody, both times by other detainees, and that he reported both incidents to Lieutenant Marey Phillips, a jail administrator. Philips was present in the room and nodded in affirmation. County officials have also cited profit as a barrier to ending the contract. The county has received about $21 million a year to detain immigrants. ICE pays Hudson county $120 per detained immigrant per night, which is projected to save taxpayers over $11 million. Those in favor of continuing the contract have argued that closing the detention center will not affect ICE’s ability to detain immigrants. NYFIUP providers believe that unless ICE is defunded on a federal level, closing the detention center will only result in the transfer of individuals, cutting them off from lawyers and support networks. They point to other counties where this has occurred, although New Jersey is a unique case since there are two other ICE detention centers in the state. Benjamin Ndugga-Kabuye, a researcher and advocate at the Black Alliance for Just Immigration, not only supports ending the Hudson county contract but rejects the notion that any immigrant — regardless of their criminal history — should be detained and outlines holistic changes in how our society chooses to punish individuals. Photo: The Hudson County jail. Source: New Jersey County Jail Wardens Association.